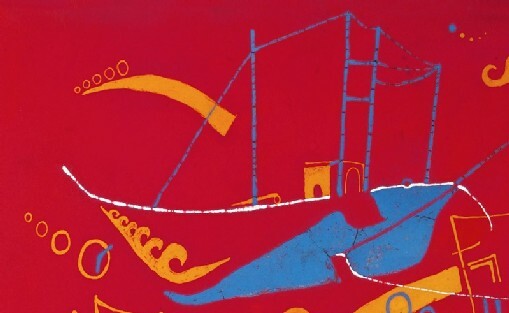 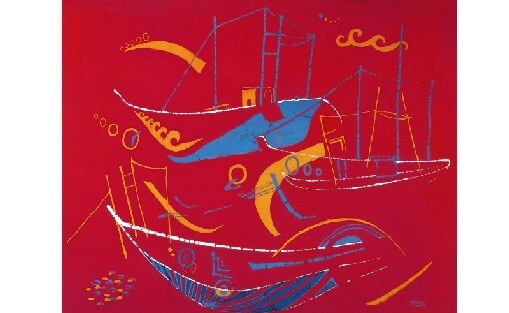 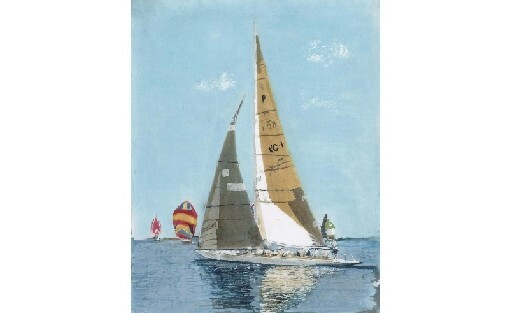 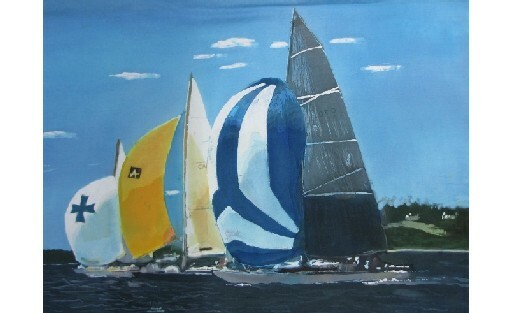 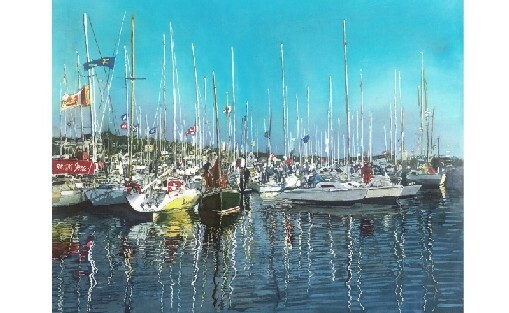 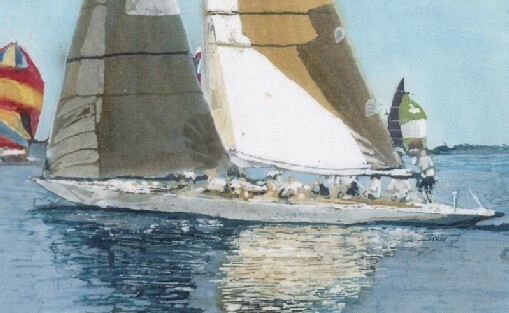 Batik paintings of boats including sailing, motor and rowing boats. 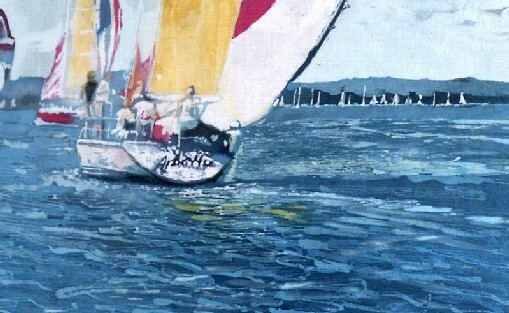 Original Batik is sold but there are prints for sale. 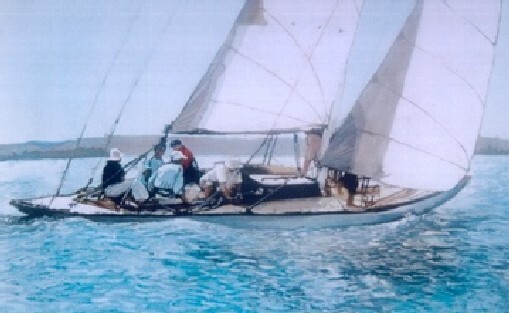 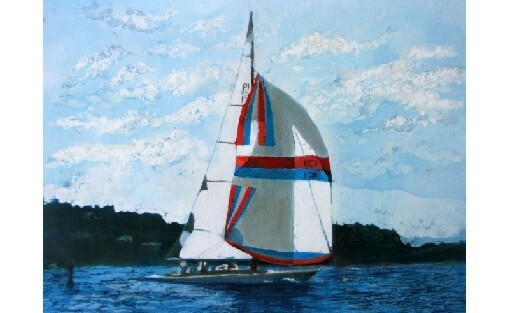 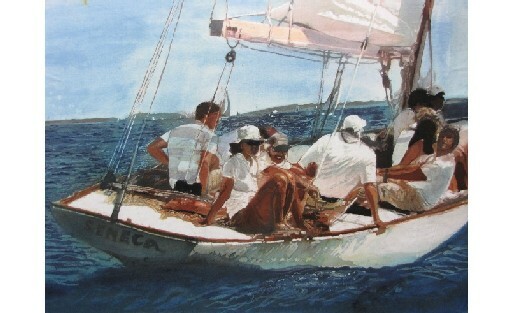 The crew on 'Seneca', a 'P' Class sailboat, sailing in a Classic Fleet race during Chester Race Week. 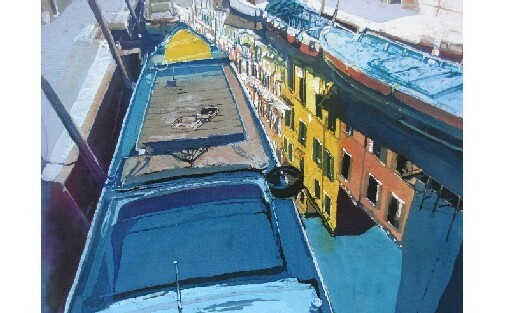 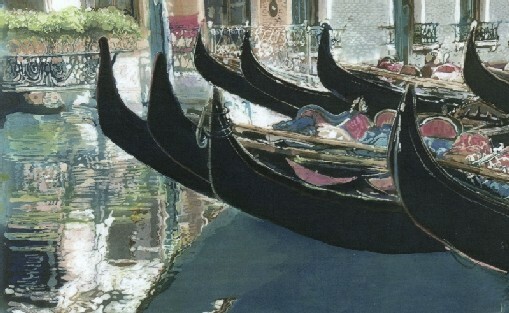 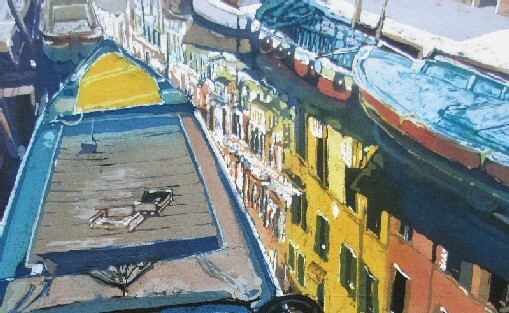 A Venetian barge and reflections of the buildings in the canal water. 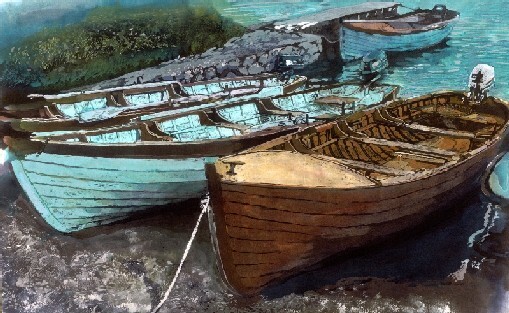 Five Classic wooden boats moored to the Chester yacht Club Wharf, Nova Scotia. 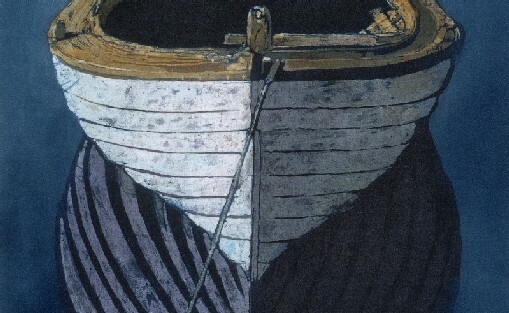 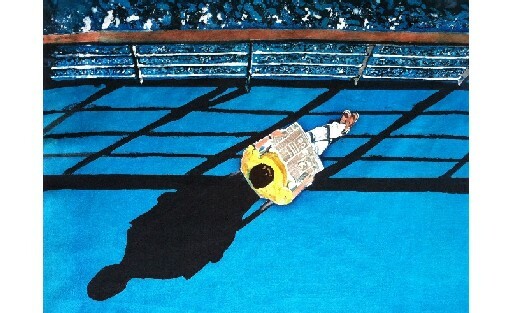 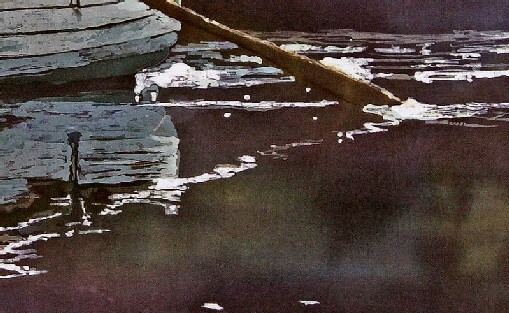 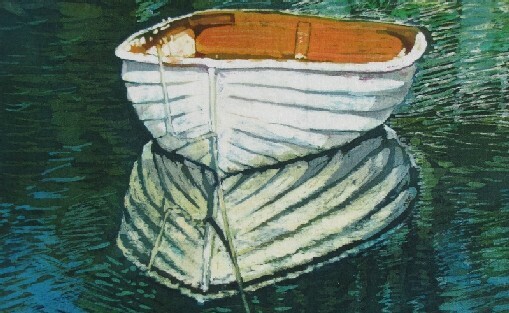 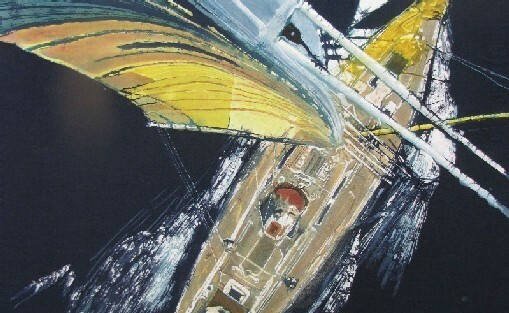 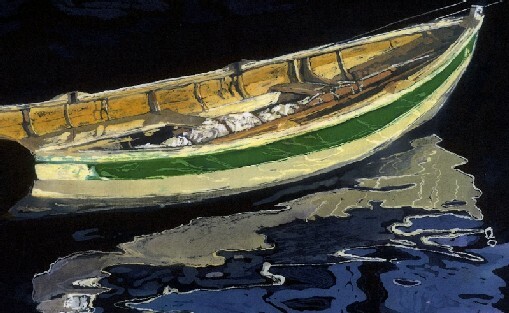 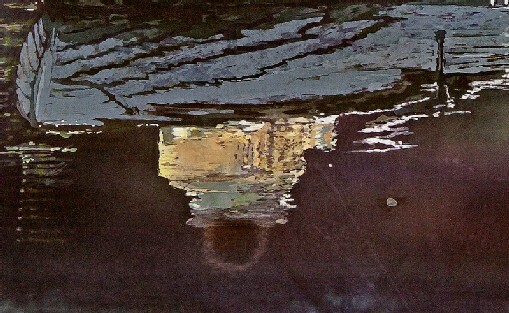 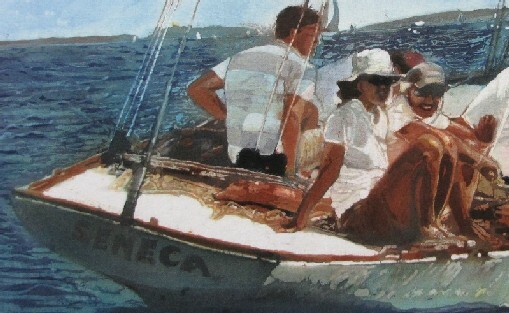 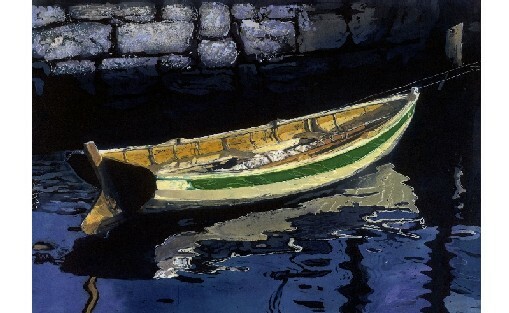 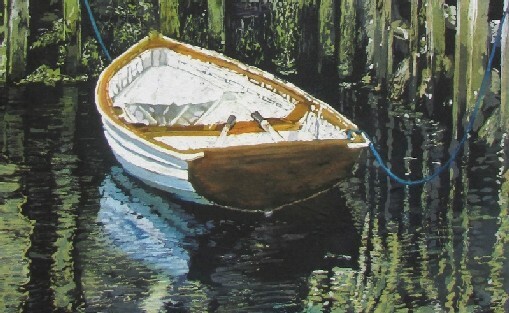 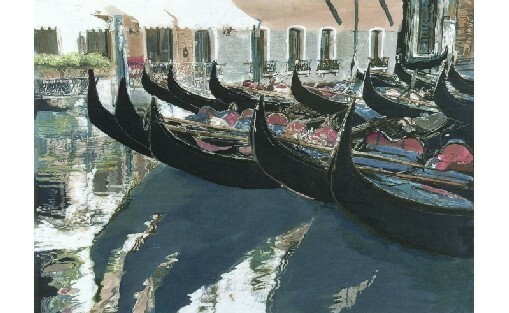 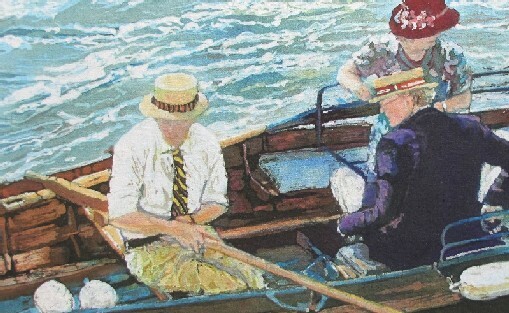 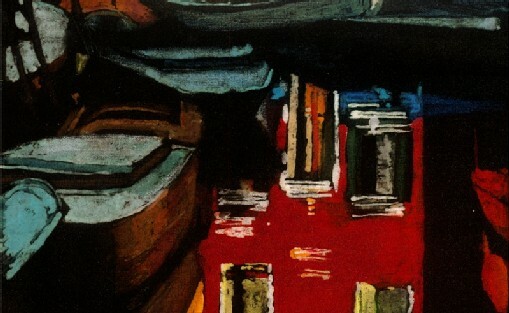 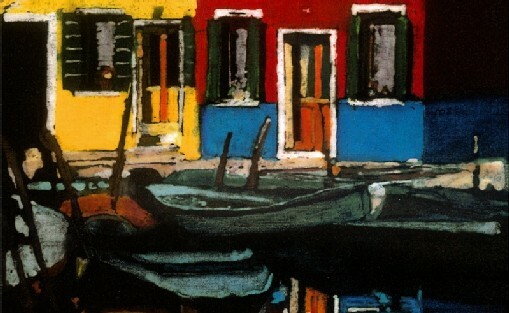 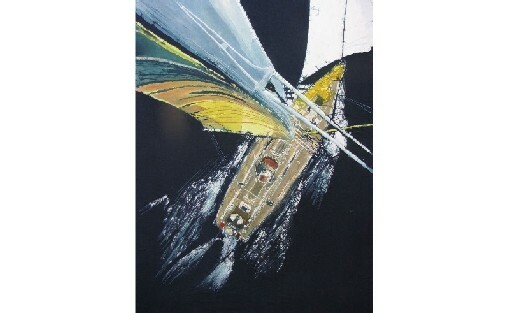 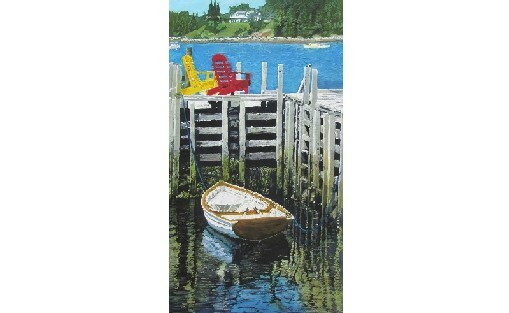 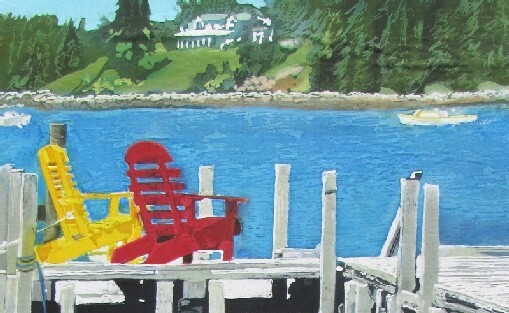 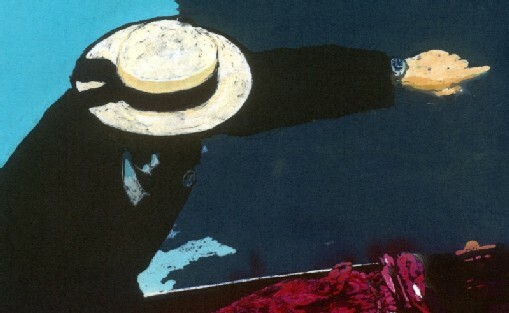 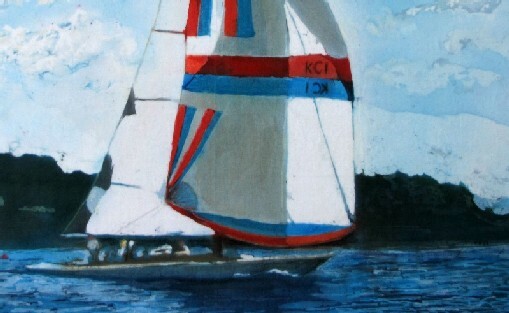 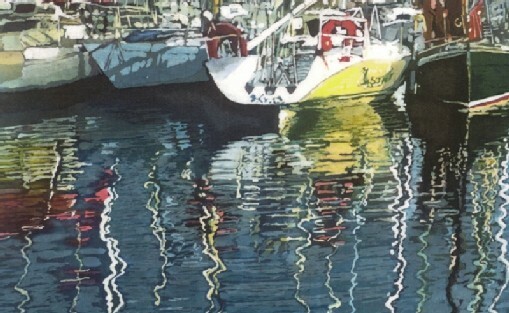 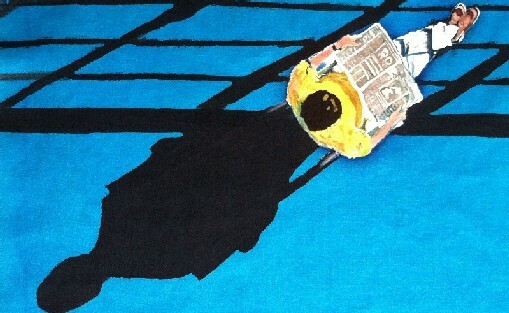 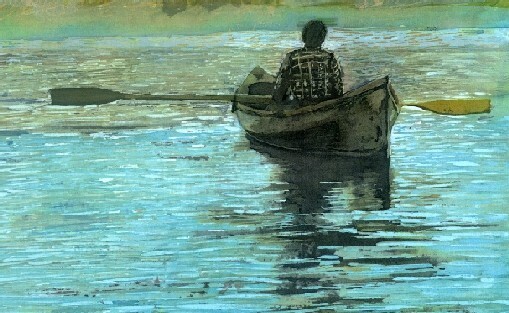 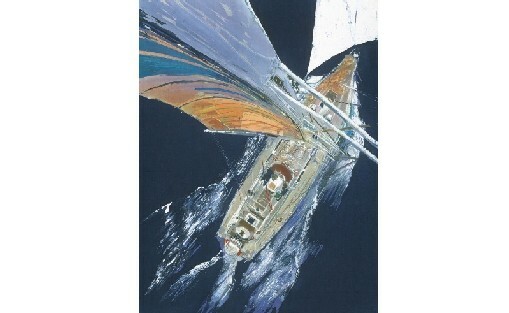 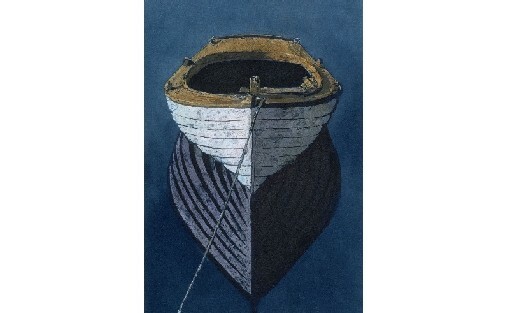 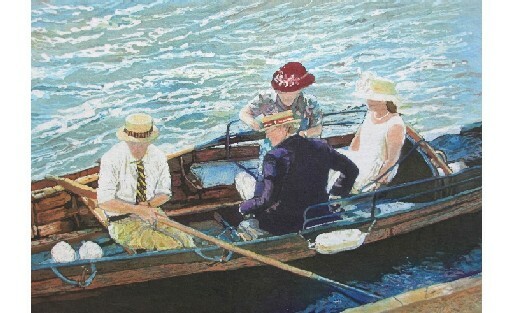 A batik painting of a reflection of a lapstrake wooden boat in calm water. 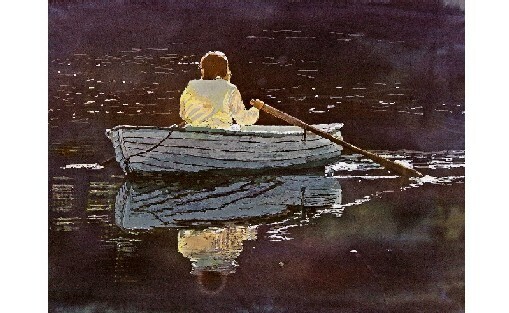 A man in his rowboat taking in the atmosphere and beauty of his surroundings. 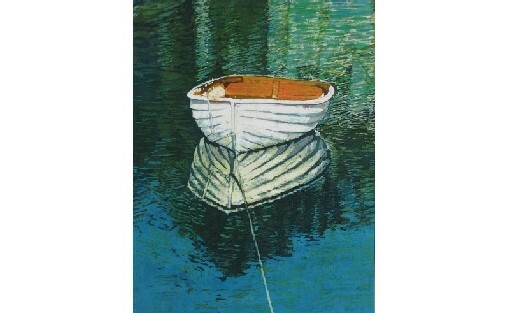 Reflections of a friend rowing her boat in the early evening light. 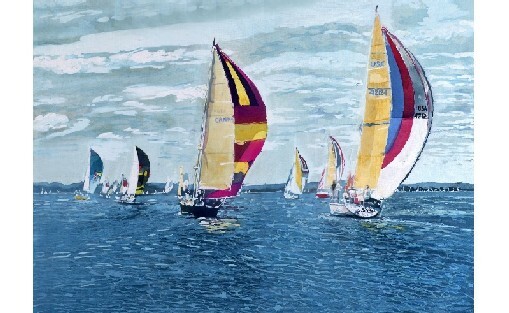 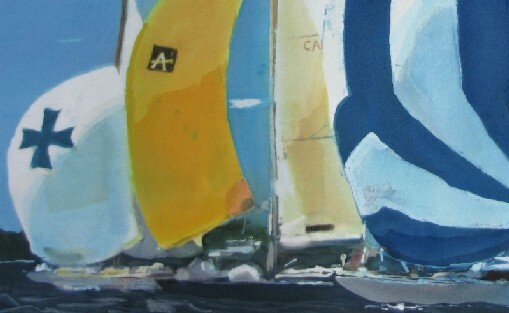 A spinnaker start to a race during Chester Race Week. 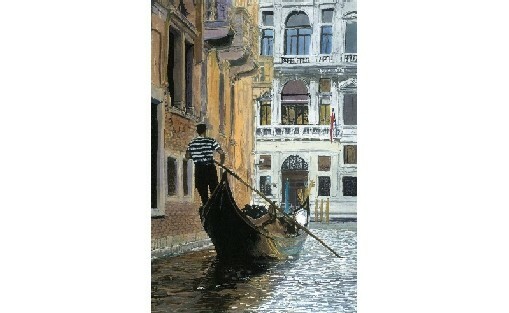 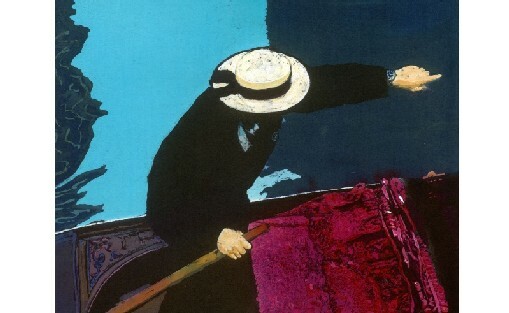 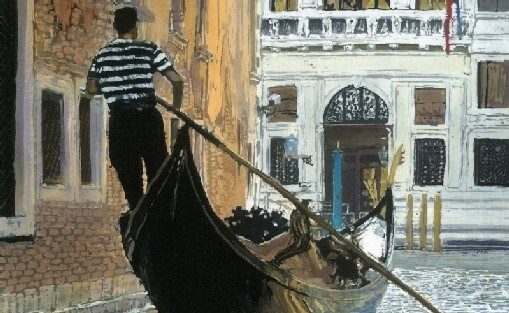 A gondolier rowing his gondola in a quiet canal in Venice. 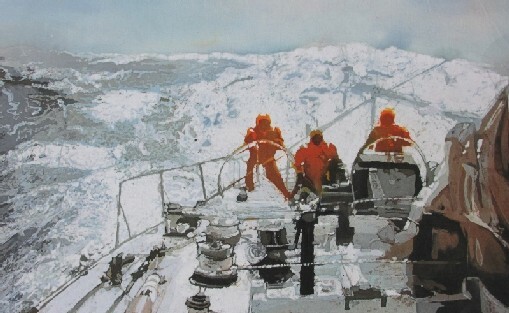 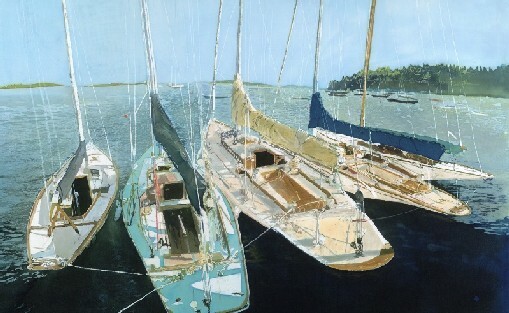 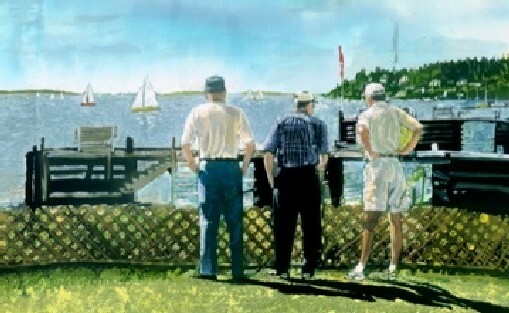 Three local old Chester residents watching the finish of a sailing race. 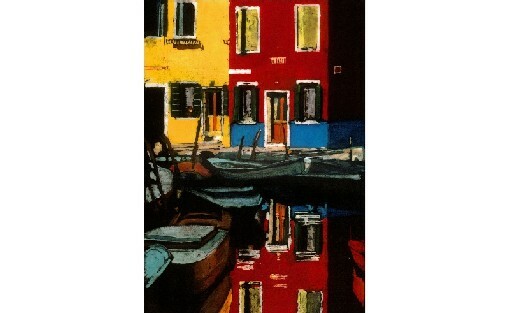 Colourful houses and small boats in Burano near Venice, and their reflections in the water of the canal.